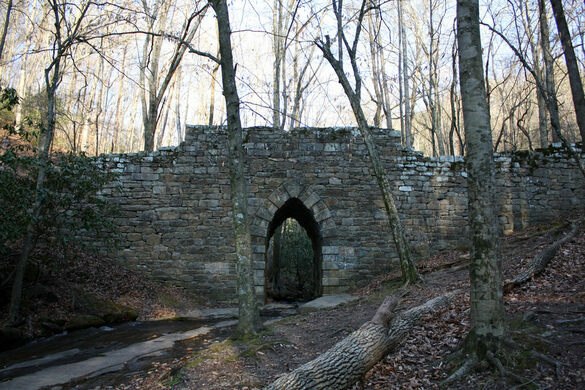 The quaint gothic span known as the Poinsett Bridge is nestled in a quiet forest on a nature reserve named after the historic stone construct, but even with the notoriety of being the oldest bridge in the state, no one is positive who created it. 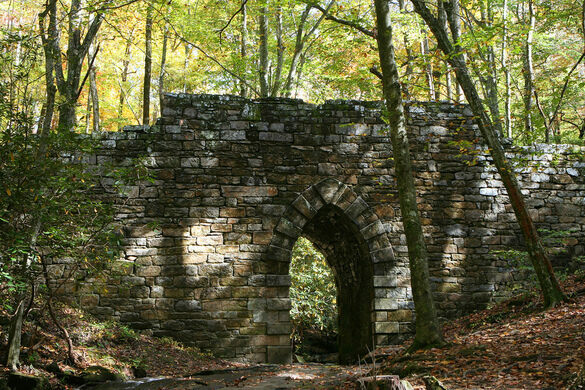 The bridge was named after Joel Roberts Poinsett, a prominent South Carolina resident who lived in the area was built in 1820 to connect the larger cities in the state to North Carolina and Tennessee. 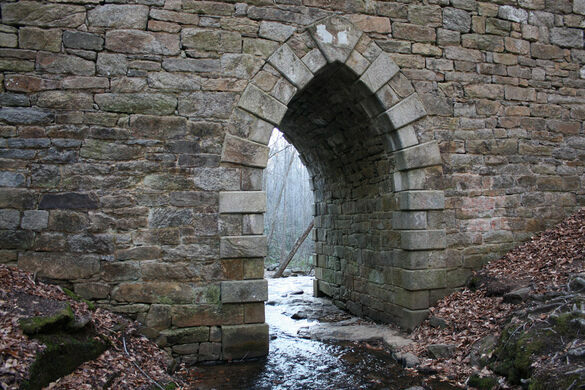 It is a simple stonework affair that features a medieval gothic archway running underneath it. The road reaches 130 feet across Little Gap Creek with a width of 14 feet across. 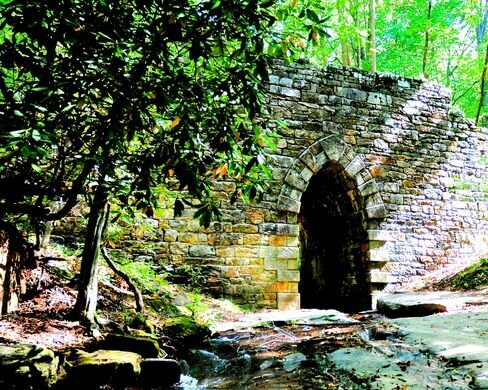 While it is not the most grandiose bridge on record, its age and bucolic beauty have made it a beloved landmark, yet no one is quite sure who made the thing. However historians widely believe that the smallish expanse was designed by Robert Mills, the architect that would go on to design the Washington Monument, another simple landmark that will not be forgotten any time soon. The bridge is on the right after passing Camp Old Indian, BSA Camp. There is a small dirt parking lot on the left, across from the bridge. It is well marked by a crosswalk and a pedestrian crossing sign, making it seriously hard to miss.